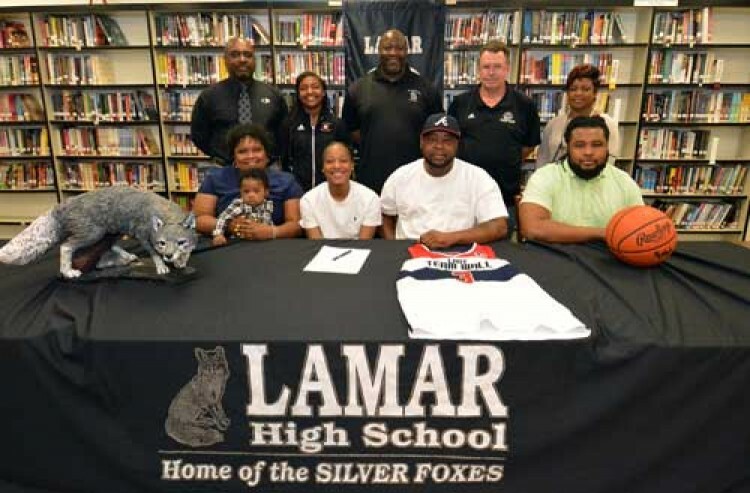 LAMAR, S.C. – Lamar High School student-athlete La’Quan “Nari” Coe celebrated her commitment to play basketball at University of South Carolina Salkehatchie on April 10 with a signing ceremony at the school. Joined by family and friends, the school hosted the event inside its media center. Coe finished her career at Lamar High with more than 1,000 points scored. In her senior season she averaged 23.8 points per game, 3.4 assists per game, 4 rebounds per game and 3.7 steals per game. She twice scored more than 50 points in a game during her final season and helped guide the Silver Foxes to a third-round playoff appearance.